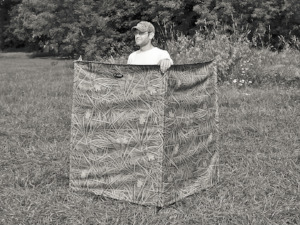 Note: Photos of the Zinger Blind are at the end of the article.. 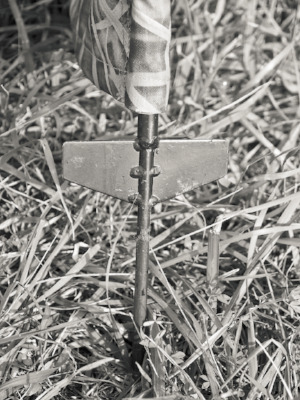 The Zinger-Winger Company, best known for its remote controlled launchers, has had a line of holding blinds for several years. The previous holding blinds were of a folding panel type that we have reviewed here on 2 occasions as they evolved. 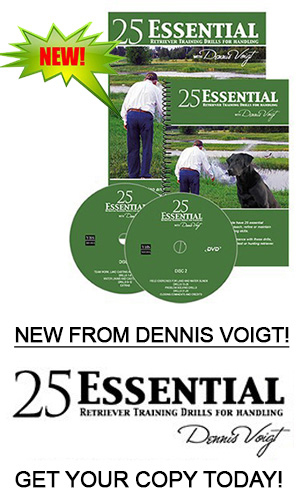 I continue to use them for training dogs and while turkey, deer and, especially, duck hunting. They are self-standing and unfold and set up quickly. Their biggest drawback is that they will fall over in a wind and thus have to be staked or tied down under such conditions. I have used them in gale winds while duck hunting but roped to some sort of anchor like rocks or logs. 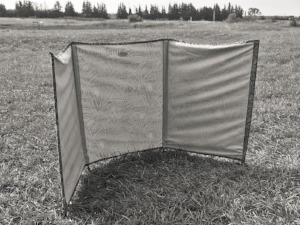 The Zinger Winger Company released a new holding blind earlier this summer which is a stake in the ground design. I have been using it several days every week for over two months. Here is my review. I like the dimensions of the blind. It is a 4 stake design which means 3 panels. Its height is 54” which is an excellent compromise for overall size and weight and usefulness. 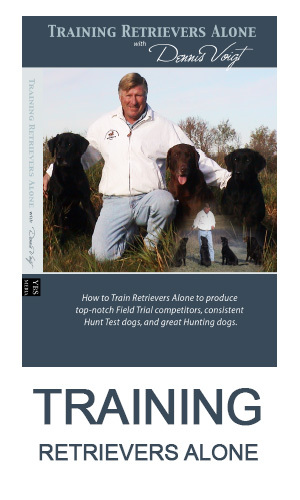 A person standing in the blind, waiting to run is suitably hidden from the running dogs view. At 10 feet in total for the 3 panels, the size of the wings is just right for a holding blind and also for hiding a retired gunner from 3 sides. You’d have to move to 12 feet or more to have a blind that could completely enclose the retiring gunner. One of the nicest features of this blind is its weight which is a mere 8 pounds. This is much lighter than many of the steel stake blinds on the market. The light weight is achieved by using PVC tubing as the uprights inside sleeves. The bottom of the tubing has a spike and step-on wing attachment for sticking into the ground. My first thought was that the uprights might not withstand high winds or heavy duty use but I have found that they do perform well. These blinds were heavily used at the recent Canadian National Amateur Championship and they did well. The camouflage material is a HD Marshwinds pattern which was previously introduced with earlier Zinger Blinds. I find this a good all-purpose camo pattern that is heavy on the brown/tan tones. The inside is a beige colour. If you want to camouflage further you could drape some grass covers or leafy branches to break up the outline and blend into the surroundings. After over two months of disrespectful heavy duty use I have only encountered one issue. The tubing stakes are retained in place by a screw and grommet at the bottom of the sleeve. I have had the material wear through which could allow the tubing to slide out in transport. The solution is to use a larger washer – a job which takes about 5 cents and 2-3 minutes per leg. Perhaps future models will remedy this since my blind was one of the earliest produced. The blinds are $99.95 and available at www.zingerblind.com.